Accomplished professional with over 6 years of experience in the optimization and standardization of business processes. 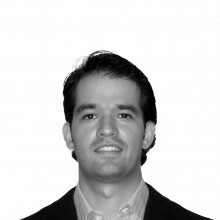 Miguel combines a global mindset and analytical skills to drive success in projects and ongoing operations. Self starter, enthusiastic, forward thinking and recognized for his attention to detail. Miguel has either worked or lived in France, Germany, Mexico, Poland, Spain, United States, and the United Kingdom. He is an IE Foundation scholarship recipient. Member of the Business Processes and IT Center of Excellence in Mexico, in charge of planning and executing business process optimizations in several countries through Lean and Six Sigma methodologies. Led a nationwide market study that enabled one of the largest small-loan consumer companies in the United States and Mexico to understand the market of cash loans to employees in government institutions. The study, which included the actual market size, competitors, business processes and profitability analysis, triggered a pilot project of $25 million USD in 2010. Carried out projects for the Sustainability, Production and Energy departments on a global level, most of which comprised of new requirements and enhancements to current business processes. I was fully responsible for these projects, which altogether had a budget of over $2 million USD and an impact to 4,500 users worldwide. Additionally, an IT team in charge of the technical aspects reported to me on a contractual scheme. Optimized business processes across 6 different country operations (France, Germany, Hungary, Poland, United Kingdom) in a newly acquired company (M&A) with the objective of streamlining the investment project operations. As a team lead, I successfully delivered the project on time with the collaboration of 5 team members under my supervision. Alongside, we developed training programs and support schemes for over 200 users on the new ERP platform to aid project managers in the region with the new IT tools that were implemented.